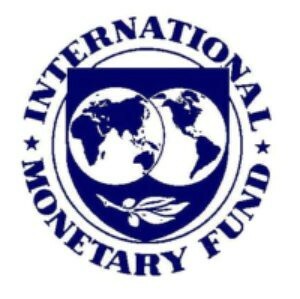 The 1944 creation of the International Monetary Fund occurred even before the formation of the United Nations in 1945. But the IMF has long appeared on the organizational chart published by the UN and is without doubt one of the many UN divisions. The International Monetary Fund is among one of the many UN divisions (image from Flickr by Mike Licht, NotionsCapital.com, some rights reserved). Tasks of this money lending UN agency include keeping tyrannical and profligate nations afloat while financing questionable business ventures. Its chief creator, American Communist Harry Dexter White, didn’t have the best interests of U.S. taxpayers in mind. Neither has the UN. Over the years, IMF funds have bailed out Poland, Mexico, Brazil, Venezuela, Colombia, and others. There is hardly a deadbeat nation that hasn’t received IMF funds to keep it going. Maybe some of this is about to change. President Trump has nominated Adam Lerrick for an undersecretary post within the Treasury Department. The post oversees U.S. involvement in international finance. His credentials as an opponent of bailouts for countries, banks, and investors are well known. In recent years while holding down a post at the American Enterprise Institute, he has sharply criticized the IMF for throwing money at the likes of South Korea, Brazil, Argentina, and Greece. According to a report in The New York Times, Lerrick’s outspokenness endeared him to Reagan administration economist Allan Metzger. The two even coauthored a study in 2000 which critiqued the IMF and World Bank. They want countries to suffer the consequences of disastrous monetary policies. Metzger, now a professor at Carnegie Mellon’s business school, expressed the following welcome view of flawed IMF policy, an opinion obviously shared by his friend and fellow IMF critic. It’s corrupting to give money to countries like Greece that never reform; those are taxpayer monies…. If we bail out countries that do things that are not in the interests of their citizens, then we just get more of the same. Adam [Lerrick] is the right man for this job. Lerrick registered his somewhat positive attitude about IMF almost two decades ago. Have the more recent outrageous bailouts of European nations sharpened his view? Time will tell, of course. But there appears to be hope that American taxpayers will be paying less – and maybe nothing – to rescue deadbeat governments. Credit President Trump for reaching out to find someone who believes that America’s financing of reckless policies among some countries has to stop. What do extreme environmentalists do when their claims of looming catastrophe are shown to be unscientific or even ridiculous? They either abandon their current claim and find another cause to scare the public or they change the name of the fright they’re peddling. The history compiled by environmentalist scaremongers isn’t something they should be proud of (image from FreeGreatPicture.com, CC0 Public Domain). Consider this. 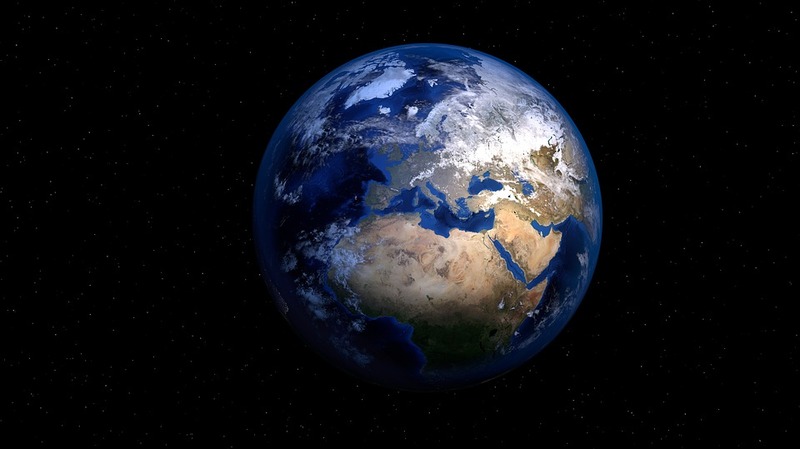 We no longer hear of “acid rain” destroying crops and other vegetation. “Ozone depletion” was supposed to cause cataclysmic increases in human cancer and more – but there is no mention of it today. Another bygone scourge known as “deforestation” had its share of frightening publicity, but we hear it no more. Another great worry aimed at the public was “overpopulation” and it, too, is no longer being marketed as a significant threat. Then, “auto emissions” became the target of those who insisted the automobile did far more harm than good. Now we are supposedly being victimized by “climate change,” the most dire environmental problem ever to plague mankind, according to scaremongering environmentalists and sloppy journalists. Climate change was formerly known as global warming. When competent scientists poked big holes in the global warming propaganda, its leading advocates arranged the name change. We are now told that rising temperatures caused by human activity warms the planet, will melt polar ice, cause a significant rise in sea levels, and put dry coastal areas under water. The history compiled by environmentalist scaremongers isn’t something they should be proud of. Acid rain had been named as the killer of spruce trees in Vermont and elsewhere. When a group of scientists went to see this calamity, they had to fight their way through healthy young spruce trees in order to find those dead or dying. But their search proved fruitless because there were none. Ozone depletion was going to cause skin cancer, cataracts, and damage to mankind’s immune system. The main culprit was chlorofluorocarbons used in air conditioners, as a cleaning agent for electronic parts, and more. Soon, the claims about the ozone hole disappeared but not until expensive studies showed the concerns to be absurd. Deforestation of the Brazilian rain forest became an environmental cause in the early 1980s. But when the UN’s World Bank was found to be the financier of a 900-mile road-building project right through the forest, pressure for terminating it succeeded and the rain forest was left to grow naturally. Overpopulation then became the environmental cause d’jour. Famed oceanographer Jacques Cousteau wrote in the November 1991 UNESCO Courier, “In order to stabilize world population, we must eliminate 350,000 people per day. It is a horrible thing to say, but it’s just as bad not to say it.” Fast forward several decades and demographers in various countries are now worried about declining birth rates. Overpopulation is no longer being discussed. In 2014, climatologist Dr. Patrick Michaels, formerly of the University of Virginia and currently the leader of Cato Institute’s Center for the Study of Science, provided data showing “no significant warming trend in surface average temperature for 18 consecutive years.” At MIT in Massachusetts, Dr. Richard Lindzen became nationally known as a “climate skeptic.” Over at Harvard University, Dr. Willie Soon has paralleled Lindzen’s skepticism and angered the climate change partisans. But numerous former believers have moved into the camp of the skeptics. They all concede that temperatures will rise and fall; they don’t concede that humans are the cause. More than sloppy science is at work here. Even before he was Secretary of State (2013-2017), John Kerry beat the climate change drum. In 2015, he pontificated, “When science tells us that our climate is changing and human beings are largely causing that change, by what right do people stand up and say ‘I dispute that’ or ‘I deny that elementary truth?’” He claims climate change is a more serious threat than terrorism, poverty, and weapons of mass destruction. Because of climate change, he wants government restrictions placed on people. His goal, easily known by studying his career, is a world government run by him and others like him. If the people become aware that the claims of climate change advocates are pure nonsense, even dangerous nonsense, Kerry and his ilk will come up with some other scheme to frighten people into giving up their freedoms. We should make sure they don’t get away with it. Join The John Birch Society today to take action! H.R. 861 has been introduced to abolish the EPA (Image from Wikimedia Commons, photo by Casey Deshong, FEMA Photo Library). But there’s a fundamental problem underlying this thinking. It is that the EPA didn’t result from a properly enacted law passed by Congress, a route required by the very first sentence in the U.S. Constitution. This regularly ignored dictum states, “All legislative power herein granted shall be vested in a Congress of the United States….” If you understand the meaning of “all,” you can readily see that the constitutional intent left no openings for other ways to make law. The EPA’s birth didn’t arise through use of congressional law-making power. It resulted from a December 2, 1970, Executive Order penned by President Richard Nixon. Congress had already passed legislation known as the Clean Air and Clean Water Acts. Then came the EPA. Once in the books via the Nixon executive order, the EPA (a swiftly growing federal bureaucracy) took over enforcement of those measures. The agency’s reach has grown exponentially over the years. In the mid-1970s, a U.S. Steel plant in Indiana faced enormous EPA-promulgated fines and chose to close down with the loss of 500 jobs. Kennecott and Consolidated Copper also closed down for similar reasons. Numerous other firms did likewise. Where fines had to be paid to call off the dogs of the EPA, some companies raised their prices and passed along those additional expenses to the general population. The EPA then targeted the automobile industry. EPA lover Al Gore (who almost became President via the 2000 election) chimed with his astounding 1992 book Earth in the Balance. Among other excesses, it called for “completely eliminating the internal combustion engine over, say, a 25-year period.” That means automobiles and trucks. Gore still uses both. So we have to offer up scary scenarios, make simplified dramatic statements, and make little mention of doubts we might have. Each of us has to decide what the right balance is between being effective and being honest. The EPA started its crusade with arbitrary dictates regarding air and water. It then spread into issuing rules regarding land use, endangered species, waste disposal, radiation, and supposed global warming (now termed “climate change”). By 2016, the EPA had 15,376 employees and an annual budget of $8 billion. It continues to grow. To counter all of this, freshman Congressman Matt Gaetz (R-Fla.) has introduced H.R. 861, a measure seeking total abolition of the EPA. His entire bill, a single sentence, reads: “The Environmental Protection Agency shall terminate on December 31, 2018.” A former veteran state legislator, he claims to have had “a front row seat to the failures of the federal government in protecting the environment.” Noting that “the American people are drowning in rules and regulations promulgated by unelected bureaucrats,” he proposes that there’s no need whatsoever for the EPA and sensible environmental protection should be handled at state and local levels. H.R. 861 deserves support in Congress and among the American people, especially those who believe in a government limited by the U.S. Constitution. Take action by calling your representative (202-225-3121) and senators (202-224-3121) to cosponsor this bill to abolish the unconstitutional Environmental Protection Agency. The Democrats in Congress have a new target – Attorney General Jeff Sessions. They didn’t want him as Attorney General, but he won Senate confirmation with a slim vote of 52-47. Senator Joe Manchin (D-W.Va.) provided the only Democrat vote as he joined with 51 Republicans to approve the former Alabama senator. Attorney General Jeff Sessions is the new target of Democrats in Congress (photo by Gage Skidmore [CC BY-SA 3.0], via Wikimedia Commons). Almost immediately, other Democrats pounced on Sessions claiming that he lied during the confirmation hearings. Asked during the proceedings if he had any recent contact with Russian officials about the November election for President, he said he did not. Later, Democrats claimed that he twice met with Sergey Kislyak, Russia’s Ambassador to the United States. Sessions explained that he wasn’t trying to hide anything; he thought he was being asked about meetings with Russian officials to discuss the coming U.S. election. The apparent Sessions falsehood turned out to be a lack of precision in his answer to Senator Al Franken’s question. But the steam from the Democrat-generated charges that Sessions lied, exploded to the degree that the Department of Justice will now determine if the Russians were trying to influence the November election, if Sessions played a part in such a scheme, and if he then lied about it. Sessions is a good and truthful man. His claim that he misunderstood the question he was asked rings true. He said later, “I should have slowed down and said, ‘But I did meet one Russian official a couple of times. During the period under question.’” He claims the matters he discussed with Kislyak had nothing to do with the Trump-Clinton election. The scheme arranged for the sale of weaponry in the U.S. to highly questionable individuals. U.S. officials knew that the guns would end up in the hands of drug dealers and murderers in Mexico. There was supposed to be some method of tracking the weapons and learning more about the operations of the Mexican drug cartels. But two of the Fast and Furious guns led to the death of U.S. Border Patrol agent Brian Terry. Estimates place the number of Mexicans slain with those guns well into the hundreds. U.S. Immigration and Customs agent Jaime Zapata’s life was snuffed out with another of these weapons. More guns ended up in the hands of drug merchants in Honduras, Puerto Rico, and Colombia. Approximately 2,000 firearms (AK-47s, sniper rifles, and revolvers) were transferred and fewer than half have ever been recovered. The entire scheme came to the attention of the press and some concerned government officials when whistleblowers within the Department of Justice bared details about the scheme. As far back as 2013, more than 130 members of Congress called for Holder’s resignation. Called before a Senate panel, Holder said he knew nothing about the program, but documents later showed he knew about it as far back as 2009. He lied to Congress, and there was an effort to charge him with criminal contempt of Congress. Instead of offering his resignation, Holder went on the offensive and called for more gun control aimed at the American people and their rights. He is no longer Attorney General, and it seems likely that he will never be held accountable for Fast and Furious, for lying, and being cited for contempt of Congress. In Congress, there are many who allowed Eric Holder to walk away unprosecuted but are now hounding Jeff Sessions. They should be reminded of their negligence regarding Holder and leave Sessions free to carry out his important responsibilities. Will Neil Gorsuch Become a Supreme Court Justice? On January 31st, President Trump nominated Judge Neil Gorsuch to fill the open seat on the U.S. Supreme Court. If he wins Senate approval, he would fill the seat formerly held by Justice Antonin Scalia who died in February 2016. President Trump nominated Neil Gorsuch to fill the open seat on the Supreme Court (Photo by White House official photographer [Public domain], via Wikimedia Commons). A full year ago, President Obama nominated Judge Merrick Garland to succeed Scalia. But Senate Republicans, led by current Majority Leader Mitch McConnell (R-Ky.), refused to hold hearings on that nomination. Republican senators concurred, saying they were only following a precedent set by Democrat Charles Schumer (D-N.Y.). He indicated a determination to block Senate approval of any new nominees while a president’s term was winding down. Although he added a qualifying “except in extraordinary circumstances” to his intention, he made clear that he and Democrat colleagues would block adding anyone appointed by President George W. Bush. Merrick Garland’s chance to become a Supreme Court justice died when Donald Trump triumphed over Hillary Clinton last November. He continues to serve as the Chief Justice of the Washington D.C. Federal Appeals Court. Regarding Neil Gorsuch, we have learned that he never issued a ruling on the contentious issue of abortion. But, in his book, The Future of Assisted Suicide and Euthanasia, he wrote that if the Supreme Court had defined a fetus as a “person,” it never would have approved abortion as it did in 1973 with the Roe v. Wade decision. Other stands he has taken indicate that he is an opponent of intentional killing, including euthanasia. Karen Middleton, the executive director of NARAL Pro-Choice Colorado, insists that Judge Gorsuch should be considered a pronounced enemy of abortion. On other matters of interest to conservative Americans, Gorsuch sided with the Hobby Lobby Stores in their plea for an exemption to Obamacare’s requirement that they pay for employee contraception practices. He also agreed with Utah Governor Gary Herbert’s failed effort to avoid being forced to fund Planned Parenthood. In general, Gorsuch has been dubbed an “originalist,” a believer that the words and meaning of the Constitution should be honored as they were understood at the time they were written. In other words, new meanings should not be created for them. That alone means he is very much in sync with the late Justice Scalia who strongly advocated such an attitude. After a career that most recently had him serving on the Denver-based 10th Circuit Court of Appeals, Judge Gorsuch considers such matters as abortion, euthanasia, and contraception should not be judged in courtrooms, a practice that he feels is bad for the country and bad for the judiciary. Concerns have been raised by some about Gorsuch’s five-year membership in the New York-based Council on Foreign Relations. The fact that his affiliation with the CFR lasted only five years is possibly significant. The world government promoters at the CFR regularly look for bright and ambitious young people to whom they give five-year term memberships in hopes that they will adopt the CFR thinking. Gorsuch’s name appears as a CFR “term” member in 2004 and that membership is noted until 2008. He may have formally resigned or just walked away. Or the CFR moguls may have decided he was not what they had hoped for. Others have similarly decided the CFR was not for them. Not completing the five-year term with the CFR may mean that he didn’t like what he learned of this key Establishment organization. To date, he has never commented about this matter. If Neil Gorsuch follows the lead set by Antonin Scalia, the man whose place on the court he will fill if approved by the Senate, chances are that he will follow in the footsteps of the late jurist. And that would be good for America. Last October, the Ford Motor Company announced that it will transfer the building of small cars to its new plant in Mexico. But, as the headline on page one of the October 19, 2016 New York Times insisted, “Yes, Ford Is Building in Mexico. No, It’s Not Cutting U.S. Jobs.” Read the online version here. Ford isn’t cutting its U.S. work force, but the company is definitely not expanding that work force (photo by Marcin Mincer [Public domain, GFDL or CC BY-SA 3.0], via Wikimedia Commons). The seeming contradiction drew an explanation from Ford’s chief executive, Mark Fields. The production of the company’s small Focus auto will indeed be moved from Wayne, Michigan to Ford’s new plant in Mexico. But, the company will convert its plant in Wayne to building highly profitable very popular trucks and sport utility vehicles. The 3,700 jobs in Wayne will not be lost. Credit Donald Trump who made Ford’s initial plans an issue during his successful run for the presidency. So Ford isn’t cutting its U.S. work force, but the company is definitely not expanding that work force. There are plenty of Americans who would love to be making the Ford Focus in Michigan or some other location within our nation. But those jobs now belong to Mexicans who can be hired at about one-third the cost of a worker based in the U.S. There are other factors dictating where a company like Ford decides where to produce its autos. One is the 1994 NAFTA agreement that inspired maverick presidential candidate Ross Perot to characterize the effect of NAFTA as “a giant sucking sound” swallowing up American jobs. He was correct. NAFTA did lead companies in numerous industries to pack up and move away from the U.S. Another ingredient in the slowdown of American manufacturing is the combination of heavy taxation and the shrinking value of the U.S. dollar, brought on by federal deficits and paper dollars that have nothing backing them. A third is the demands of labor unions that force the cost of labor here to far exceed similar costs in places like Mexico. While producing automobiles in America has become more difficult, consider the startling revelations about the virtually non-existent U.S. clothing industry. According to the American Apparel & Footwear Association, 97 percent of clothing sold in the United States is imported. Take a look at what you buy and you’ll see “Made in” tags naming China, Vietnam, Bangladesh, Thailand, and other low-wage nations. And the automobile and clothing industries aren’t alone in having their products made outside the United States. Why all this is happening isn’t just protection of the bottom line by corporate America. Our nation is being targeted by the hidden designs of world planners who want to level the lot of all mankind and then merge all into their grasp. If a nation like the U.S. has a high standard of living, it has to be brought down so it can be merged into a “new world order” with poor and poorly run nations. Bring the so-called backward nations up and bring the prosperous nations down is the overall plan. In the process, every country will find itself beholden to a power structure likely located at the United Nations. For decades, America’s leaders haven’t been pro-American. They have been doing everything possible to build the “new world order.” And Donald Trump, with all his idiosyncrasies and bluster, seems to be posing a threat to the world planners. That is why the dishonest media find fault with virtually every decision and every utterance from the rookie president. If he continues on his plan to “Make America Great Again,” he’s surely got a tough road ahead. We wish him great success.